Barbados-born Archer qualified for world No 1 team England in March and has been named in enlarged squads for May's T20 and ODI series against Ireland and Pakistan. Archer has made an impact on the global stage with his performances for Sussex, Big Bash side Hobart Hurricanes and IPL team Rajasthan Royals and national selector Ed Smith said his ability puts him very much in the running. 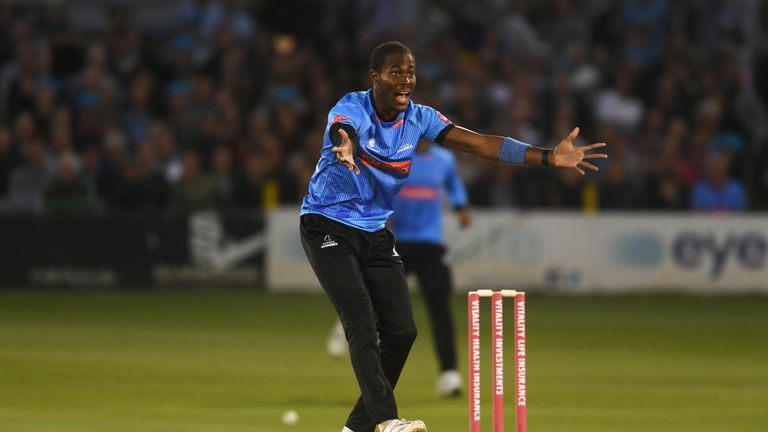 Archer is joined in the 14-man squad for the one-off ODI against Ireland, on May 3, and the 17-man party for the five-match series against Pakistan, which starts on May 8, by his Sussex team-mate Chris Jordan who is back in the 50-over frame for the first time since September 2016. Moeen Ali, Jonny Bairstow, Jos Buttler and Ben Stokes are all rested for the trip to Malahide and the NatWest IT20 against Pakistan, as is Chris Woakes as the selectors continue to manage his workload, but Sam Billings and James Vince are both included.